Do you need CPR certification for the workplace or for school? 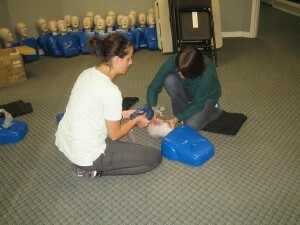 Do you want to learn first aid and / or CPR to know how to save a life or to boost your resume? Take a course with Hamilton First Aid. 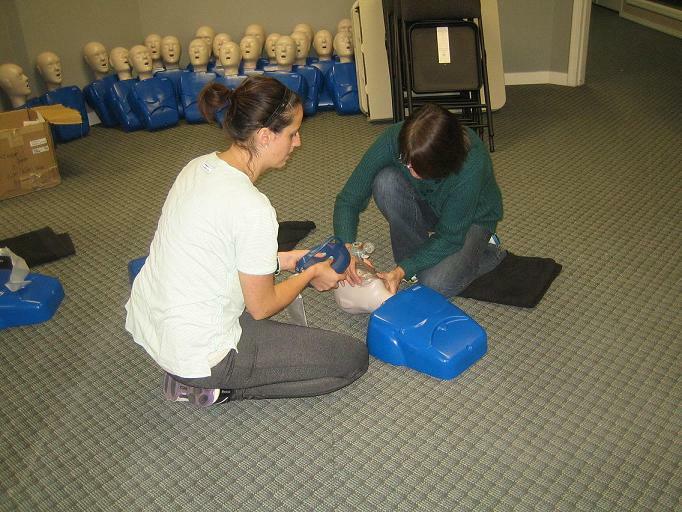 This provider offers a wide range of CPR, AED and basic life support courses. Comprehensive one and two day first aid and CPR courses are also available. First aid and CPR courses provide successful candidates with certification that is valid for 3 years and meets Ontario WSIB requirements. Visit Hamilton First Aid’s website for a complete list of available classes and rates. You can also use the contact information posted below to register for a course or inquire about available services. Representatives are available 7 days a week to help with your questions or with registration. All training courses, stand-alone classes, and refresher courses are offered at various schedules throughout the week, with night classes and weekend classes also available for enrolment. Trainees who have trouble with scheduling and cannot enrol in any of the regular class schedules can opt for a private class, usually taken by big groups of trainees. What Are People Saying About Hamilton First Aid? I really enjoyed the course. The instructor didn’t give us a boring lecture and made the course as interactive as possible. What initially drew me in was the prices. They are definitely the lowest priced WSIB approved provider and are definitely proud to show it. The quality does not suffer based on the price. Great classes! Will definitely be back for a recert. – Christopher P.
I need a private course for our construction company. I called everyone and these guys were the most professional and came in to do a class last minute at a great rate. I will contact them again in the future. – Steve Brown. Who Takes First Aid and CPR Training in Hamilton? What Else Does This Provider Offer? 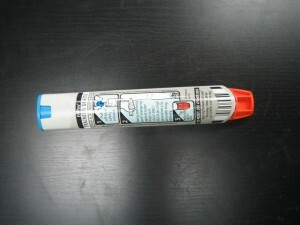 Epi (epinephrine) pen used during anaphylactic allergic reactions. Anaphylactic shock is a component of first aid and CPR training courses in Hamilton. To inquire about the services posted above use the contact information posted on the top of the page. If the victim has been drinking, take these measures to prevent intoxication and injury. Monitor the victim’s condition. If they get worse, bring immediately to the emergency room.